Bill Rosenberg is the Policy Director/Economist at the New Zealand Council of Trade Unions Te Kauae Kaimahi. He is widely published on globalisation, trade and e-learning. You can read Bill’s monthly economic bulletins here. For the past five years, the Council of Trade Unions has analysed how much was approved for Health spending in each year’s Budget. The theme is “Has Health been given enough to stand still?” We look at the costs, the population pressures including the ageing of the population, and the promises for new services, and compare them to what is actually provided. You can see the reports which give details and show the assumptions we used here. 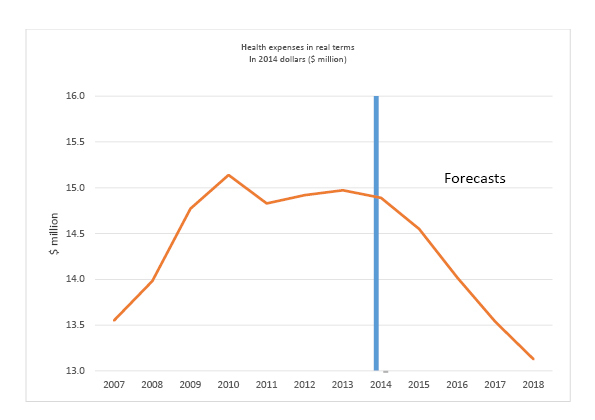 Treasury estimates of real changes in health spending after costs and population growth. In the 2014 Budget we estimated that the Health Vote was $232 million behind what is needed to cover announced new services, increasing costs, population growth and the effects of an ageing population. The Health Vote increased by $307.9 million in operational funding overall between Budget 2013 and Budget 2014 (from $14,134.6 million to $14,442.5 million). This is $185.6 million short of the $493.5 million we estimated was required just to keep up with costs without providing for new and improved health services. However the Budget in addition introduced “new policy initiatives” costing $120.1 million in 2014/15 (putting aside the bulk of the “initiatives” which were actually funding towards increasing costs and population pressures), bringing the total needed to $613.5 million. This was offset by “savings” totalling $73.6 million including $56.7 million that are not explained, plus a reduction in the provision for risks such as epidemics or natural disasters of $17.0 million. If we take the savings at face value, the total shortfall is therefore $232.0 million. District Health Boards (DHBs) were underfunded by an estimated $94 million just to cover increased costs and demographic changes. When the costs of new services which the DHBs are expected to provide are taken into account, the shortfall is likely to be well over $100 million. Centrally managed national services such as National Disability Support Services, National Elective Services, National Emergency Services, National Mental Health Services, Primary Health Care and Public Health services received $134 million below needs. We don’t look at capital funding in any detail, but it rose sharply: from $520 million in Budget 2013 to $1,114 million in Budget 2014. This follows a significant increase in capital expenditure last year. In the 2012 Budget, $289 million was budgeted for capital. The Ministry of Health had observed in its Four Year Plan that “Capital investment is needed nationally because a significant proportion of hospital buildings are in poor condition”. While the increase in capital funding is much needed, increased capital assets create additional costs for DHBs because they have to pay the government capital charges and must provide for depreciation. As Treasury noted in 2013 Budget papers, “new capital builds are more likely to result in large deficits for DHBs”. We also had a look at the cost of the welcome policy initiative to enable children under 13 to have free access to GPs and free prescriptions from 1 July 2015. Our estimate was that it could cost closer to $40 million per year rather than the $30 million in the Budget estimates. How good are our estimates, and what about the forecast funding for the four years to June 2018 which are part of the Budget? In past years, Ministry of Health estimates of the funding shortfall were released, but they were largely redacted from documents released following the 2013 Budget. However, for the year to June 2015 (financial year 2014/15) Treasury is forecasting health to have a real growth of negative 2.3 percent according to its spreadsheet issued with the Budget. On their figures we calculate that represents a shortfall of $360 million. So our estimate is conservative. Treasury warned in the preparation of the 2013 Budget that such cuts would require major changes to our health services. This could include “more targeted services and funding” which implies dropping services, making some available only to certain groups, or introducing user charges. Vote Health 4 Year Plan for 2013/14 to 2016/17, December 2012, p.14, available at http://www.treasury.govt.nz/downloads/pdfs/b13-info/b13-2659847.pdf. Treasury Aide Memoire to Ministers of Finance and State Services, 6 December 2012, p. 6, available at http://www.treasury.govt.nz/downloads/pdfs/b13-info/b13-2505130.pdf. “Four Year Plan – Assessment and recommendation on final four-year plans submitted by Ministers to MoF and MoSS”, p.4-5, available at http://www.treasury.govt.nz/downloads/pdfs/b13-info/b13-2564298.pdf. Tags: Budget 2014, DHB, funding cuts, health politics, public health | Permalink. Let me introduce myself, my name is Keren MacSween and I am 43 years old. I am married and we have two beautiful daughters aged 12 and nine years. Around five years ago I made a bold decision to change my career direction (much to my husband’s surprise!) and retrain as a registered nurse. I am a meticulous planner and managed to organise study, work and family and unfortunately, with all the sacrifices that had to be made, it was sometimes my family that came last. 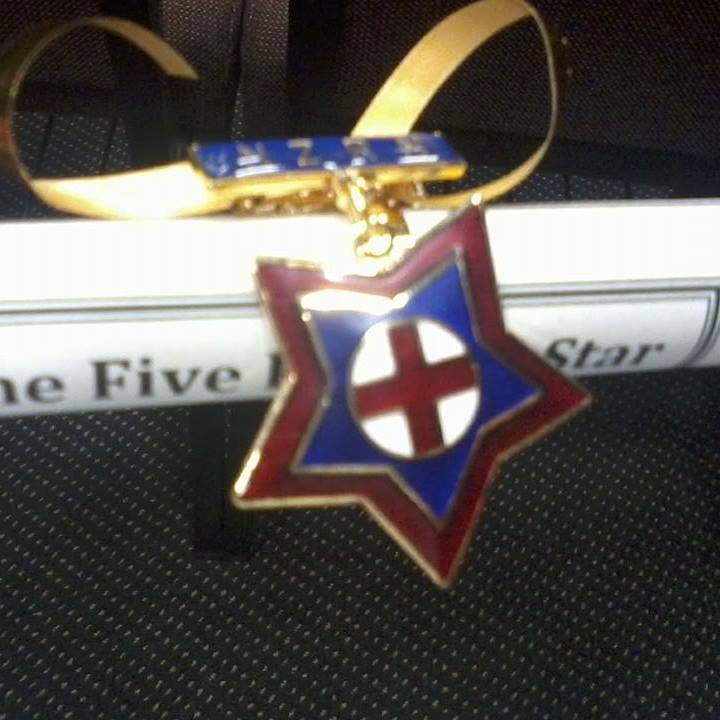 But with the support of my husband and my very understanding children we managed to get through four years of study, clinical placements and assignment deadlines along with the stress of exams. Apart from the emotional sacrifices there have been huge financial sacrifices as well. As a family we have gone without to try and make ends meet. When I eventually had to give up work once I started the degree we had to find other ways to manage financially. While I am thankful that we are able to provide a home for our children the fact that we have not been able to pay any principle off our mortgage has been a strain on our marriage. Also the only way I could go back school and study was to apply for a student loan for the four years of study to reach my goal of earning a degree and a career. At the most recent statement this is around $36,000 and with no job prospects on the horizon there is no chance of that reducing in the near future. We used to have a credit card, but that got out of hand and we have just recently managed to pay it off. I hated having to choose between getting petrol in the car so I could take the girls to a park or see family or buy milk and bread so they would have sandwiches for their school lunches. 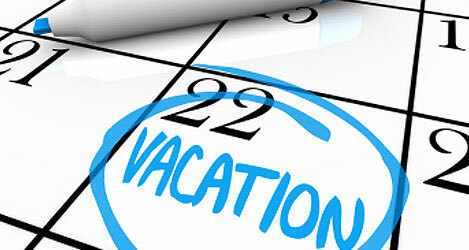 We are still living week by week and some weeks are harder financially than others. With my financial management I have been able to keep on top of the bills but that does mean living to a strict budget every week. This also has another effect on our meal planning, some weeks we do not know what we will be having for dinner until that day because I need to be vigilant on food and meat specials and are only able to buy on the day. But I am lucky to have grown up in an era where I have learnt to make or bake from scratch. While still dealing with all this financial stress I have gained a qualification that I feel is not worth the fees I have had to borrow to pay for it. I am seven months down that track after gaining my nursing degree with no job or job prospects that are visible. Although I feel very lucky to have a casual support worker position within an organisation that provides for people living with a mental illness, this is a casual role and dependent upon regular staff being sick or on annual leave. While this has given some relief to the financial stress it is in no way full time employment utilising my qualification. What I am feeling now is desperation but in the same breath I also feel optimistic that there is a job out there for me, one that I can really shine in and show my qualities. It’s an amazing thing an interview it’s where you as a candidate can show the recruitment team your qualities and strengths, this is very hard to do in a cover letter but a cover letter is the only way you are able to let the recruitment team know what they might be missing out on. I have had one interview in the last seven months out of more than 60 applications submitted. Also I have to note that not all jobs applied for have given me the courtesy of a reply positive or negative. And I feel that some have not even considered my application as soon as they read ‘new graduate’. I have changed my cover letter to ‘sell’ myself as advised and I have not limited myself to one clinical area or DHB region. Other advice given was to volunteer at rest homes or such places but as soon as they discover that I am an RN they do not want to take the risk. What risk are they taking? I am the one that could do something outside my scope as a volunteer and jeopardize my registration before I get a chance to use it. I am unable to work as a health care assistant (HCA) as DHB policy states this, although NZ Nursing Council stated that as long as I do work within the scope of practice as an HCA it should be alright. Everywhere I look people want experience, but to gain experience you need to be working in a clinical setting. This is where the NEtP programme comes into play. The negatives to this programme are that there is only one way to get onto the programme and there are very limited spaces compared with the amount of new graduates every six months. Your other options are to apply through health care providers directly, agencies and casual pool nursing organisations. Downfall of this is that they all require proven clinical experience so will not even take your details. Applying directly to private hospitals and rest home with hospitals attached? Once again require 2-3 years proven clinical experience. If I go back to the cover letter, how can you show somebody your maturity, your compassion and empathy along with your willingness to learn more and that because of the change in direction of career at a later stage in life, which you are in this career for the long haul? How are you able to show your passion in educating young and old about their health and health options that are available to them? I am willing to travel up to two hours away from my home to make sure I have that experience, but this still does not help. I am getting desperate but am also optimistic there is a job out there for me; there has to be! Tags: NETP, new grad, workforce planning | Permalink. We all know there is cost cutting going on everywhere in the health system at the moment. DHBs are being forced to cuts tens of millions of dollars from their budgets and cost cutting measures (called “savings”) are being implemented in every ward and unit. We hear every week about community health initiatives whose contracts with the DHB have been slashed. Clinics for refugee and migrant and other high needs populations are disappearing, aged care contracts are being squeezed and every hospital in the country is facing cut after cut after cut. We know how stretched the nursing team is. Not being able to take annual leave, being called back from annual due to short staffing, vacancies not being filled, care being rationed – we hear sad stories every day. I think it’s hard for people to get their heads around what’s actually happening in our health system. It’s hard to believe because when they or a loved one are in hospital the care they receive from the nursing team is so professional and they feel well cared for. Today I heard that one hospital is stopping paediatric nurses from wearing bright, cartoon character scrubs. It’s a cost cutting measure. From now on all staff will wear the same plain blue scrubs. That might not seem like a big deal; might seem sensible, even. But it’s not. It’s the little things that matter. Being in hospital is one of the scariest things a sick child can face, and it must be pretty traumatic for family and whānau as well. 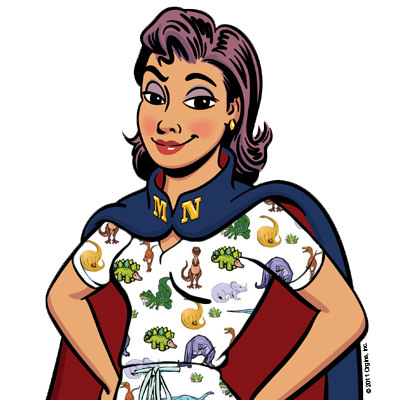 Part of good nursing practice is to make the experience as comfortable as possible under the circumstances, and wearing bright, cartoon character scrubs is one way a nurse can help an ill child feel safe. Putting paediatric nurses into plain scrubs might save the DHB a few dollars but the affect it will have on patients and families is more important than saving a few pennies. The philosophy of patient-centred care that turned paediatric wards into bright, sunny and interesting places with brightly dressed nursing staff, designed to put children and families at ease, is being turned on its head. It won’t be long now till children’s wards will be back like they were in the bad old days – dismal institutionalised places, not kid friendly at all. That’s not what I want for our health system. Tags: cost cutting, DHB, funding cuts | Permalink. Marilyn Head is NZNO’s senior policy analyst. In 2012 Marilyn wrote the NZNO submission to the Ministry for Primary Industries on the Future of Folic Acid Fortification of Bread in New Zealand. You can read that submission here. Great to see the New Zealand Organisation for Rare Disorders’ hard hitting press release “Babies die as bakers fail miserably with bread fortification project“. It could also have said each year at least 20 more will join those children and adults already living with lifelong pain, disability and surgery, because of the government’s continued failure to implement mandatory fortification of flour with the essential vitamin B9 (folic acid) to prevent neural tube defects. 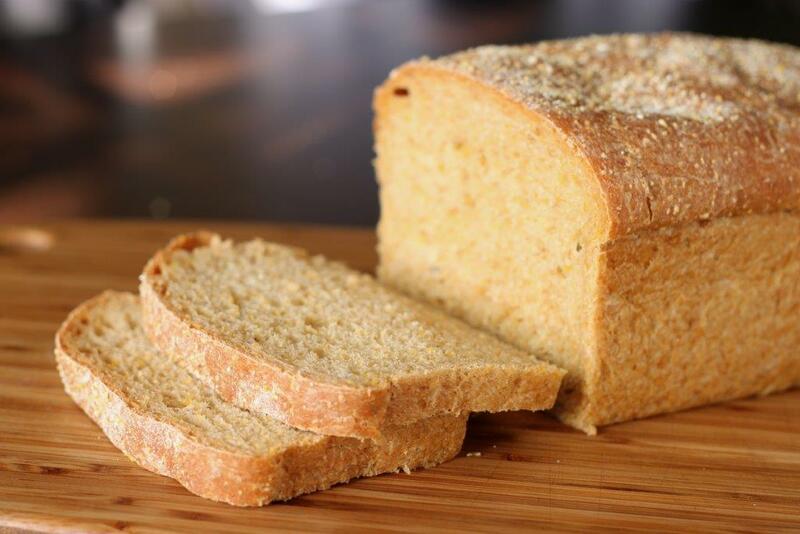 Estimates suggest that between 80 and 245 cases of neural tube defects could be prevented each year if intake was boosted in the first weeks of pregnancy; since half of all pregnancies are unplanned, and it is difficult to get enough folic acid from food, fortified bread has proved a safe, effective means of ensuring that. Former Minister Kate Wilkinson’s excuse for postponing and then cancelling mandatory fortification was that people needed ‘choice’. No-one chooses to have spina bifida. But the breadmakers have certainly chosen to reduce their production of fortified bread. There is 25 percent less fortified sliced bread available now than there was in 2012, and it is in that form that the most vulnerable young mothers are protected in all other developed countries. One would imagine that in this country where Captain Cook’s bold move to replace rum with lime juice to prevent scurvy, even though the protective mechanism (vitamin C) was not fully understood, is hailed, that there would be a willingness to act on evidence for the public good. As with other evidence based public health initiatives such as immunisation, fluoridation and iodised salt, folate fortification has come under the attack of a vociferous minority, supported, in this case, by an industry that is cruelly indifferent to the opportunity it has to prevent untold suffering. Shame on them, and shame on the government for its continued refusal to act on the expert advice and evidence available, including that given by the Chief Science Adviser it appointed. NZORD, NZNO and the medical community are to be congratulated for their persistent advocacy of evidenced public health initiatives, such as folate fortification, that reduce disease and health disparities. Capital and Coast DHB (CCDHB) delegate Erin Kennedy talks about a workplace situation where holding the DHB to account has taken years. The hard work and perseverance of delegates and organisers has finally paid off. After several years of work by NZNO organisers and delegates at CCDHB, members whose shift leave was not calculated correctly look set to finally get the leave they are due. Staff affected worked alternative rosters (10 and 12 hour shifts). CCDHB has reviewed records of affected staff from 1 January 2007 to 1 January 2013 to determine which staff are owed leave, with ICU used as a pilot group. Previously, all shift leave was credited based on shift count under clause 13.2 of the MECA. However, clause 6.19 of the MECA, which covers alternative rosters, states that on completion of one year on alternative rosters, employees should receive one week of shift leave in place of the provisions set out in clause 13.2. While delegates and organisers are pleased that, at least in one directorate, the end is in sight for this project, we still have some concerns. The first is that a number of staff who have left CCDHB have not been able to be contacted. If you worked alternative shifts at CCDHB during the time covered, please contact CCDHB to ensure you receive any leave due (gary.waghorn@ccdhb.org.nz). If you know someone who has left CCDHB and who may be covered, send this on to them. Although NZNO does not normally support cashing in of leave, on this occasion the cashing in of leave is supported, as staffing in some areas prevents any extra leave being taken. Our second concern relates to members who may have had leave over-calculated. Letters set to go out from the DHB ask those staff to sign a form agreeing to pay back any overpayment, either in a lump sum or as salary deductions. Our view is that the Wages Protection Act kicks in here, and our advice to those staff is not to agree to any repayments without union advice. That advice regarding alleged overpayments also applies to other staff who have recently been asked to repay money which CCDHB claims to have overpaid, including senior nurses on the PDRP. If this applies to you, contact a delegate immediately. NB: The ICU project which involves correcting miscalculated “adjust to normal” pays is a separate one, which will hopefully soon be concluded and staff paid out. Again, if you worked at Wellington Hospital’s ICU and think you may have been affected by this, please contact CCDHB. You can read the multi-employer collective agreement that covers NZNO members and DHBs here (it’s a pdf). Tags: advocacy, collective action, DHB, fair pay, funding | Permalink. 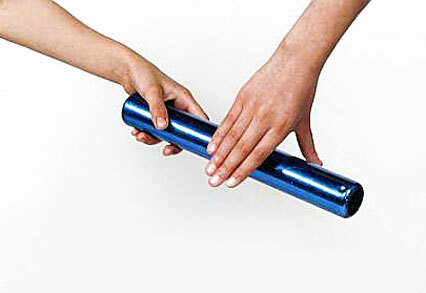 Succession planning is a big part of solving our looming nursing workforce crisis. We already know there are many strands to consider when planning for a sustainable, home-grown and highly skilled nursing workforce. At the moment we have, at one end of the spectrum, great newly graduated nurses, who are motivated, want to give something back to society but who are unable to find jobs. And for the new grads lucky enough to get a job, some of those positions are not suitable for a new grad unless there are appropriate supports in place, and they shouldn’t be forced to take them. For example, sole charge residential aged care roles, with no support or mentoring/preceptoring available – a pretty scary proposition for a first time RN. At the other end of the nursing spectrum there are thousands of skilled, experienced nurses who have had long and varied careers who would love to be able to pass their knowledge on to a new graduate, but are not given the opportunity to. No matter which way you look at it, the nursing workforce is in a quandary! We need our experienced, skilled older nurses to be prepared to step up as preceptors/mentors; what they know and can share is vital to the development of the workforce. If it doesn’t happen, where will we be in 2020/2035 when the workforce shortage really bites? We need a sustainable health workforce plan that supports all our new grads into “nurse entry to practice positions” and at the same time releases our valuable late career nurses from enough of the work at the coal face so they can build the mentoring relationships with younger nurses that will strengthen our workforce and profession. Tags: advocacy, health politics, late career nurses, mentoring, NETP, new grad, succession planning, workforce planning | Permalink.